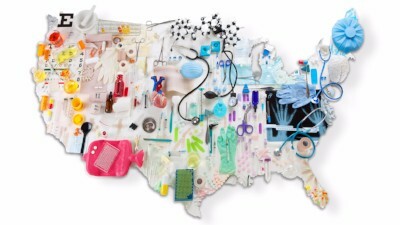 There are too many healthcare advocacy organizations all over the country to list on this page, but you can download these lists to find the ones nearest you. These organizations make healthcare advocacy a priority, but they also fight for justice on other fronts. DUH salutes and supports them in their efforts to recognize the intersections between health and the environment, human rights issues, education, jobs and labor issues, immigration policy, peace, and poverty, among many. This list contains the top results of a Google search for "single-payer healthcare organizations in [state]" and is in no way complete. It includes no county or municipal organizations. If you'd like your organization to be listed, send us the name, website/social media URL(s), and any other contact info and we'll add it ASAP. We would love to have the most complete list ever! 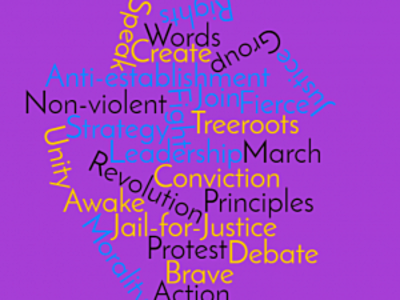 Click to download the alphabetized list. 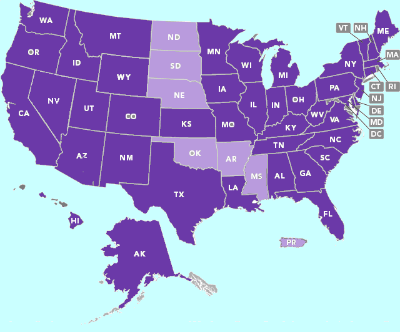 Dark purple states have single-payer advocacy organizations - light purple ones do not. Click on the map to download the list. Click to download the list.